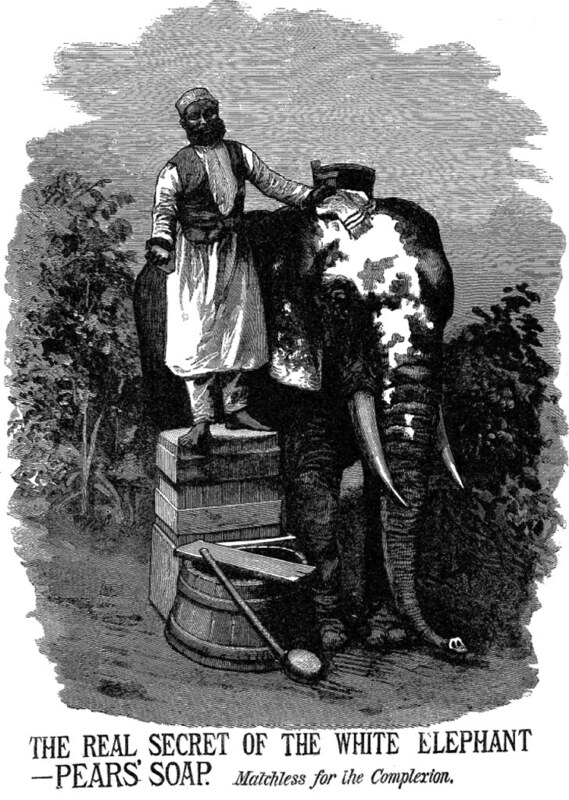 Although this story of the Siamese king and his ruined courtier does provide a compelling explanation for why “white elephant” can mean “an object, scheme, etc., considered to be without use or value”, it is nevertheless a complete fabrication. 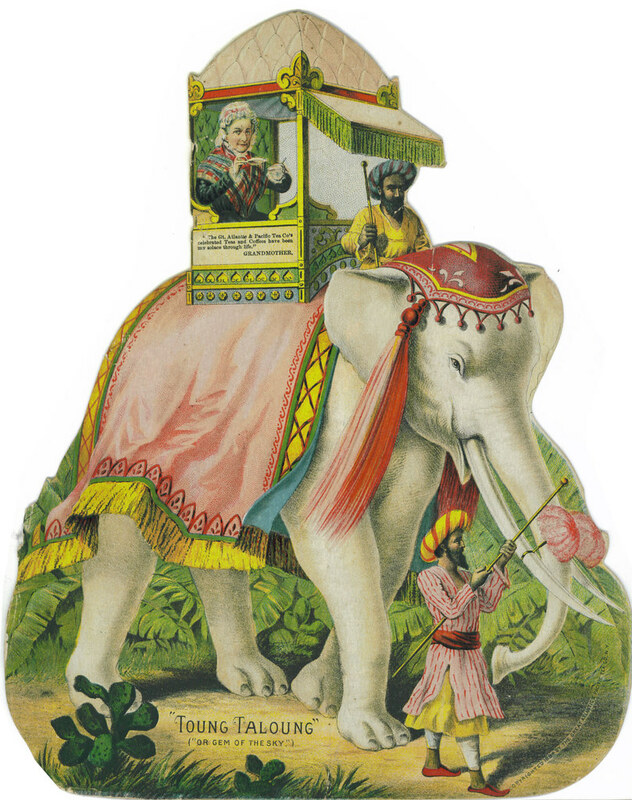 Indeed, if read together, the OED’s two definitions for “white elephant” present a paradox: If white elephants are “rare” and “highly venerated”, why would the king of Siam give one away to punish a subordinate? Unsurprisingly, there is no recorded instance of this practice in Thai history. Nevertheless, this figurative definition of “white elephant” as a kind of fatal gift has had a lasting influence on the English language. 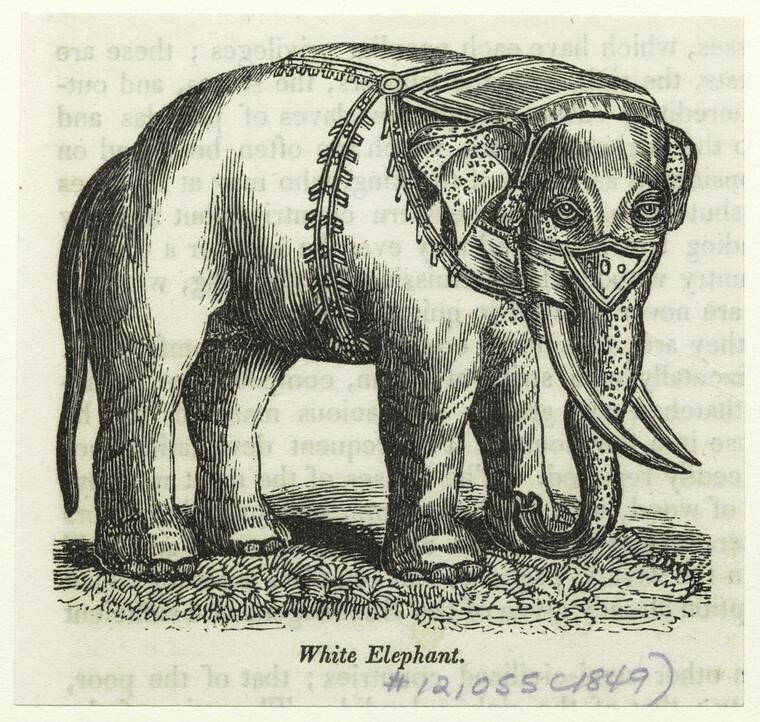 It can be detected today in phenomena like “white elephant sales” or “white elephant gift exchanges”, but in the 1880s, “white elephant” was a common expression for any kind of useless or burdensome object. 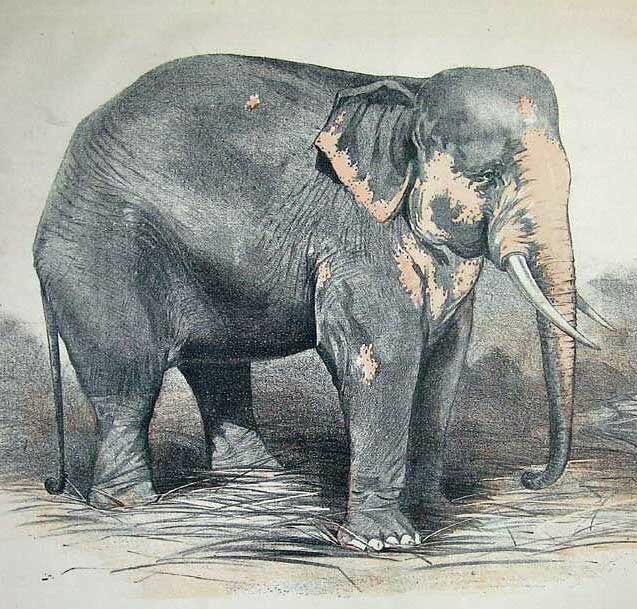 Illustration of Siamese white elephant featured in A Pictorial Geography of the World, 1849 — Source. 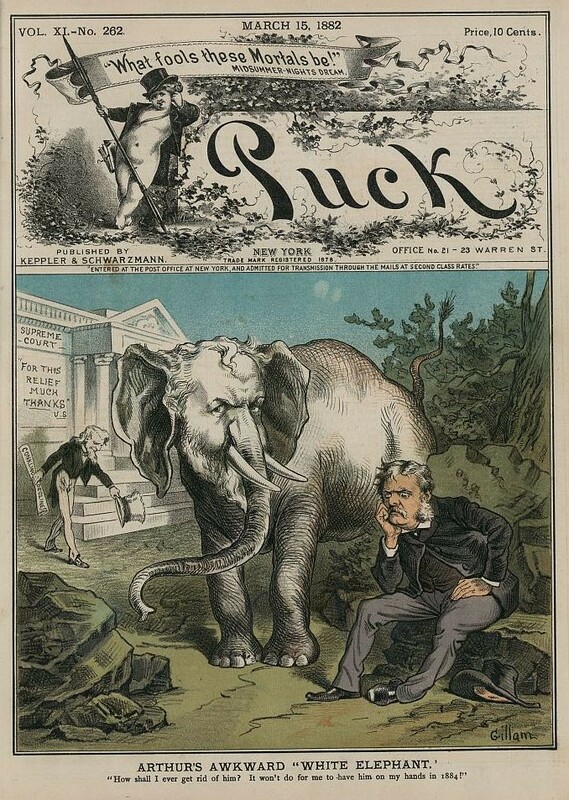 Puck front cover, from 1882, showing President Chester A. Arthur — beside a large white elephant with the likeness of Roscoe Conkling — wondering “How shall I ever get rid of him? It won’t do to have him on my hands in 1884”. Although he is referring to the year of the next election, it is oddly resonant in the context of Toung Taloung and co — Source. 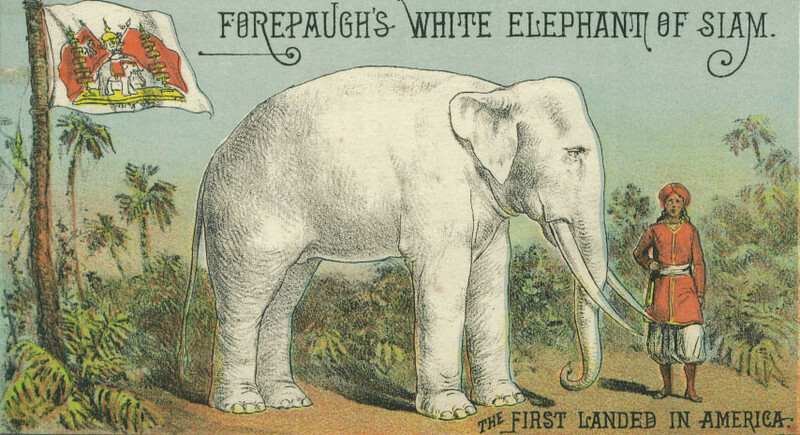 Promotional card for Forepaugh’s “Light of Asia” — Collection of the author. 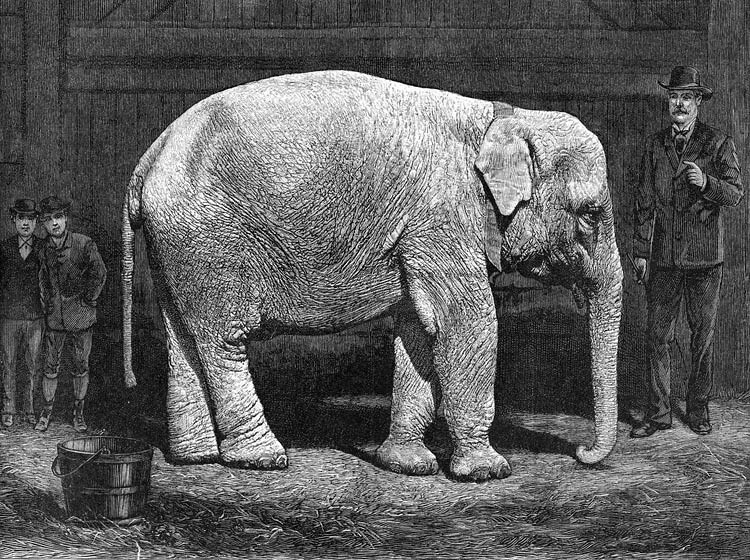 A lithograph, based on a photograph, of Forepaugh’s “The Light of Asia” — Source. 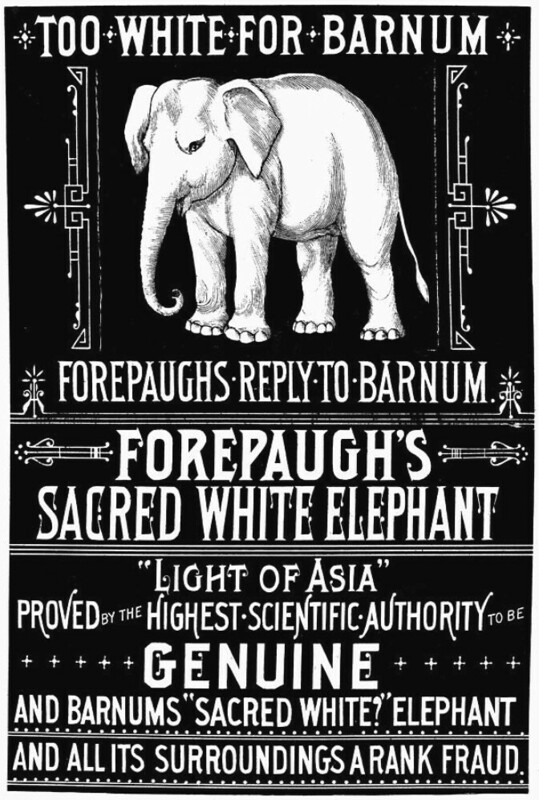 While the Times reported that a panel of New York City white elephant experts had certified Toung Taloung as a genuine chang pheuak, there was far less agreement about Forepaugh’s elephant. At least one of the experts who authenticated Toung Taloung, David Ker, made a point of writing to the Times to express his doubts about Light of Asia’s genuineness, while an editorial published in that paper the same day strongly implied that Forepaugh’s animal had been painted white. Not the pamphlet, but a playbill for Adam Forepaugh’s Circus promoting the “Light of Asia” , ca. 1884 — Source. “The Real Secret of the White Elephant”, Pears’ Soap advertisement — Source. “Matchless for the Complexion”, Pears’ Soap advertisement — Source. 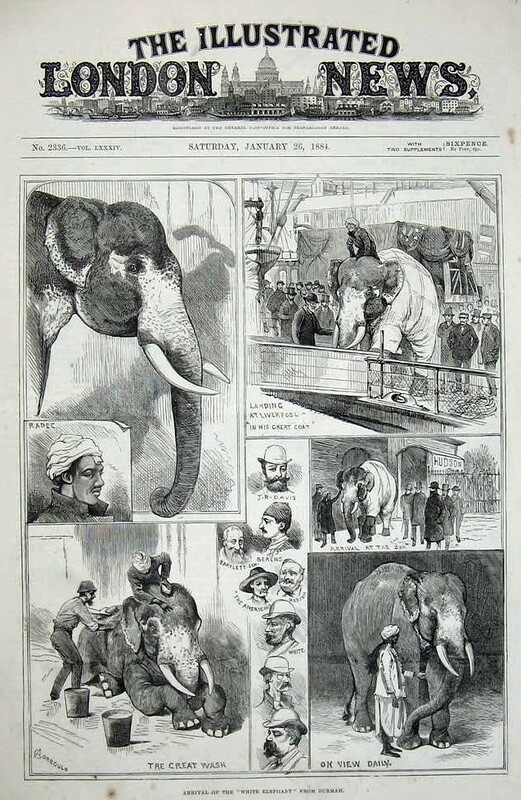 A fascinating study of animals in the lives of Victorians, including an incisive chapter on Toung Taloung’s stay at the London Zoological Gardens. An important overview of the mid-nineteenth century culture of deception exemplified by P.T. Barnum. 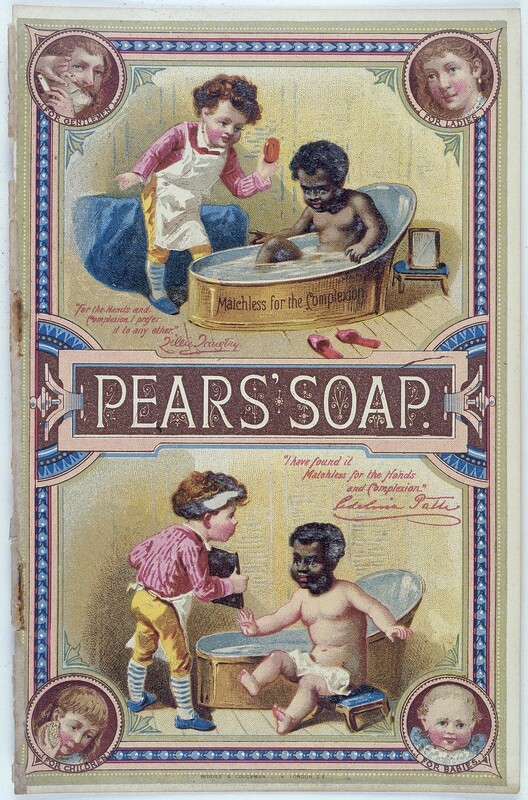 An overview of how British ideas about colonialism and race were played out in popular advertisements (including Pears’ Soap).